Use your wits and agility to maneuver a ball through obstacles toward the goal in this wacky, fun, physics based game. Easy to play, difficult to master! 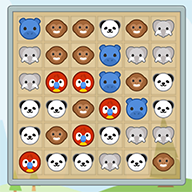 Enjoy 50 challenging levels and replay each to improve your play times. Defend The Deep is a retro, Missile Command inspired, underwater-themed arcade style game currently in development! Tap/Click to launch torpedoes in defense of your undersea city. Advance from wave to wave, upgrading buildings to increase defensive capabilities. Destroyed buildings must be operational, so keep them in good repair! Do you remember the days of playing Dr. Mario(tm) for hours upon hours? Well, now you can grab an asset and make your own version! 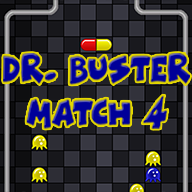 Dr. Buster Match4 captures the feel of the original. The asset includes complete and commented source code (C#), documentation, and easy to modify graphics and sounds. Modification and customization is simple! After what seems like forever, Unity has finally accepted another complete project asset! Match 3 fun with cute graphics (thank you www.kenney.nl!) and Chuzzle-like match mechanics. The complete, easily modified project comes with full source code, assets and documentation. Get it while it’s new and hot! Interested in just a preview? Watch the Youtube video! Founded in 2004 by a single individual looking to hang his hat somewhere on the web, RuneFire Studios is a tiny, indie studio that creates video games and Unity assets for fun and enjoyment. There are no boundaries; developed and released projects include everything from retro-remakes to casual match 3 style games to MUDs and MMOs. While RuneFire Studios is more a hobbyist effort, the one-man developer has over 20 years of professional software developer experience and has been creating games and other software since the late 1980's.